For anyone first reading the Health and Nutrition Update, please read this first: Your Health. Please go to God’s Health System and subscribe to receive the updates. Always remember that you are in-charge of your health and not the doctors. Do not put your life in their hands without first seeking God and His health system. What I am now doing is putting my tremendous backlog of great health related information on the blog. Many of this research material is cutting edge. The posts will be made more often. You need to know how to research this site, as I have a tremendous amount of information that you can study and pass on to others. On the left hand column, look for the heading “Categories”. If you click on this, you will find Categories such as Vitamin D. If you then click on Vitamin D, all the posts with this heading will appear. If what you want to research is not under the “Category” heading, then look for “Search Website”. You then place the issue you want to research into the box and all the posts will appear that have this word. I have posted for years, so there is a tremendous amount of material for you to research. Diets Lacking Omega-3s Lead to Anxiety, Hyperactivity in Teens: Over and over, the studies are showing the importance of the Omega 3 oils. If you are having trouble with your teenager, part of the trouble could be the Babylonian diet that is destroying their body and mind. It takes a great effort today to protect our children from the destructive diet that is all around us. If you follow this blog, time and time again, I have shown what is needed to keep your body and mind healthy. It is a fight against this Babylonian system, but you MUST do it. God’s Health System is there and if you seek the Lord about this, He will lead you. Severe vitamin D deficiency extra problematic for newborns, This may be especially problematic for newborns compared to babies older than six months according to new research. Vitamin D Treats Liver Disease “Because there are currently no effective drugs for liver fibrosis, we believe our findings would open a new door for treatment,” said Ronald M. Evans. Vitamin D deficiency accelerates bone aging | Vitamin D Council Normal bone aging is significantly accelerated with vitamin D deficiency, according to researchers at University of California Berkley. 4 Signs of Defective Olive Oil Recognizing rancidity and other defects and tips for keeping your olive oil fresh. Drinking water, and Legionnair’s Could they be connected? How safe is your water? Do you have an in home filtration system to remove impurities and harmful bacteria? Pharmaceutical Drugs are 62,000 Times More Likely to Kill You than Supplements With a Super-Safe Track record, why are supplements under attack? This article advocates you becoming knowledgeable of prescription drug facts. “The data, which was collected from official sources in the UK and EU, demonstrate that both food supplements and herbal remedies are in the ‘super-safe’ category of individual risk – meaning risk of death from their consumption is less than 1 in 10 million. As detailed above, drugs are 62,000 times more likely to kill you than supplements! Why on earth would supplements need more stringent safety thresholds than drugs? Premature Infants’ Lungs May Improve With Better Nutrition Improving lung function in premature babies with a severe lung disease may be linked to their feeding regimen study suggests. Autism – Now Affecting 1 in 54 Boys in the US Science is examining how environmental factors may play a role in Autism. Find out how toxic overload is considered to be part of the problem! Lyme Disease in the US — 10 Times Higher Than Reported Transmission may also be spread by other insects, including mosquitoes, spiders, fleas, and mites. “And for the record, it’s not even always in the shape of a bull’s eye. Perhaps now you understand why the cases reported to the CDC have been woefully low. But as just mentioned, less than half of all cases of Lyme can be traced to a tick bite, so this hallmark rash is absent in many of those infected. 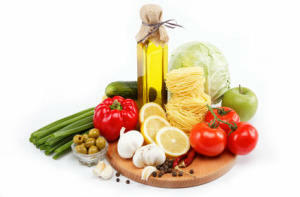 Mediterranean Diet protects your mind. Mediterranean Diet Found to Stave Off Dementia Those who followed the Mediterranean diet were 19 percent less likely to develop thinking and memory problems. The key is the cold pressed olive oil and the resveratrol found in the grapes. Green Tea found effective in treating some types of tumors and genetic disorder Drink green tea and NOT soda of any type! Green tea is wonderful for your health which I have reported many times on this blog. Chocolate may help keep brain healthy Drinking two cups of hot chocolate a day may help older people keep their brains healthy and their thinking skills sharp. Cocoa is one of the best foods you can take for overall health. Eating eggs is not linked to high cholesterol in adolescents, There is no connection between eating eggs and increased cholesterol level. Very little cholesterol comes from food as 90 percent is made in the liver and secondly, eggs are loaded with lecithin, which is a fat emulsifier. The lecithin neutralizes the cholesterol in the eggs. 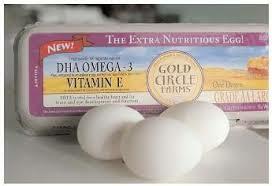 You want to eat free range chicken eggs as they are loaded with Omega 3 oils.